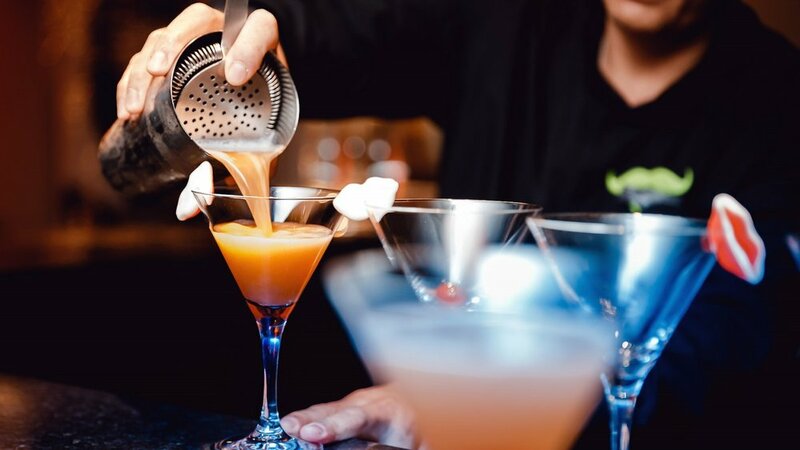 We offer an array of Cocktail Bartenders, Waiter, Waitresses & more for your next event. Our Staff are highly trained, and will offer top quality service, with professionalism and a smile. Our Event Staff can be hired Australia-wide. Our Bartenders and other staff are predominantly based out of Melbourne, Victoria, Sydney, New South Wales, Canberra, Queensland & Perth. We create cocktails, beer, wine & spirits, mocktails & more. Our large team provides a simple, effective and easy drinks catering service. Bar-tools, equipment, tables, ice-buckets, esky’s, glassware, Mobile Bar’s, are all available to our customers. Who doesn’t love a skillful and very well presented bartender that will create all of the drinks & that will do all of the leg-work. With our Bartender Hire Package, our skilled team arrive at your event, ready-to-go, taking all of the efforts and stress far away from the organiser. Hire friendly Waiters, Waitresses & Promotional Staff across Melbourne, Sydney, Canberra, Perth & Queensland. and evening a smash hit. Request as many workers as you would like, to cater for a busy, and thirsty crowd. Whether it is a stand-up or sit-down event our friendly and professional Waiters & Waitresses will attend to all guests. Our Bar Staff come with thorough hospitality experience, and are of course RSA accredited, with ability to serve drinks. Equip yourself with our Bartenders, Cocktail Bartenders, or multiple across Australia. There will be a bartender or cocktail mixologist readily available for your event with Easy Bar Cocktail Catering. If you supply the drinks, we can supply the bartender that will know exactly what to do. Our Bartenders come equipped with Cocktail shakers, strainers, stirrers and all of the essential bar equipment to ensure a stress-free and fun event. It's important that the Host has fun too. All of our Bartenders & Cocktail Bartenders are fully licensed. Drink prep, food prep & bar-back staff available. We offer an organised, highly presented catering assistants. Our formal attire is on request. Our formal attire is a black shirt with or without a tie. Please request what you are after. Otherwise; we come in our Easy Bar tea, t-shirts, or collared short sleeve shirts. We send out staff with copious amounts of corporate catering experience, to be able to make your day and/or evening a shining success. Easy Bar are the mobile cocktail and drinks specialists. We produce fresh beverages to guests, Melbourne and Victoria-wide. Our drinks are made with flair and precision, right in front of your guests, by our experienced bartenders. We reflect current trends and seasonality to suit the style of your function. Easy Bar provide service to high class brand events, to casual local home events. We bring the bar, qualified Bartender staff, and a personalized drinks menu for parties, functions, events and more. Easy Bar serve cocktails, beer, wine, spirits, sparkling wine, craft beer, mixed drinks, mocktails, juices, smoothies, coffee & h20. All served fresh from our range of Mobile Bars. Easy Bar also offer a variety of important equipment hire options.